Onslow colours are green and red. Uniforms can be purchased from Football Central or second hand. shinpads (these are compulsory for safety reasons). The club provides a club shirt. The club shirt should only be worn for matches and is not for practice or casual wear. Each team is allocated a gear bag and a bag of balls for the season. The gear bag will include bibs, goalie shirt, first aid kit, ball pump, cones and disks. This is returned to the club along with the club shirts at the end of each season. 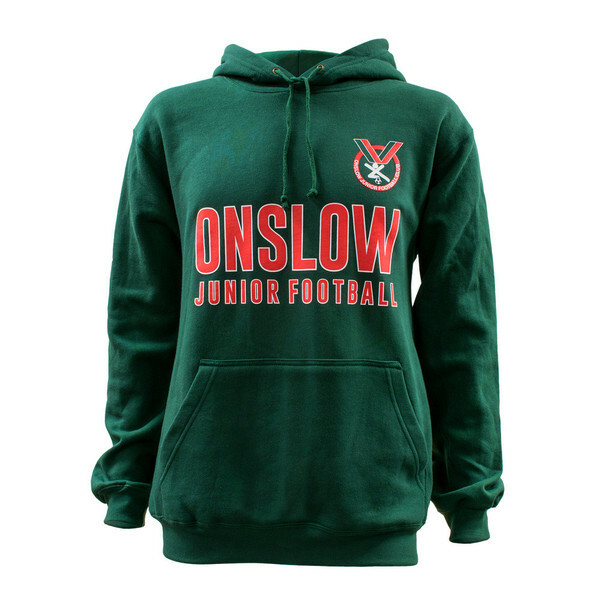 Onslow Junior Football Club hoodies and jackets are available for purchase in club colours. They look very smart and practical for those cold, frosty, winter days. Football Central are the supplier so please visit the Onslow Shop on the Football Central website. The club gets a 10% rebate from any online sales.